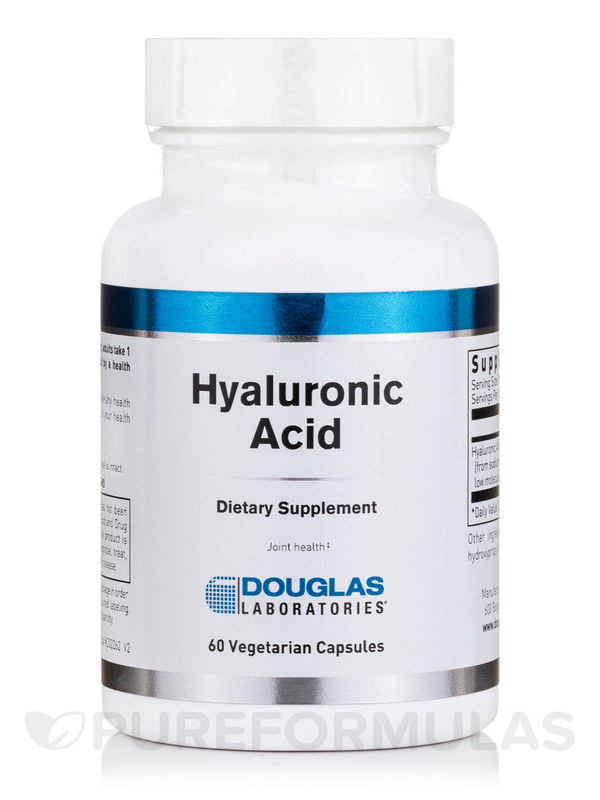 Hyaluronic acid (HA) is produced by keratinocytes and is a member of a large family of glycosaminoglycans which are the main components of the extracellular matrix. It is abundant in tissues and fluids with the highest concentrations in synovial fluid‚ vitreous humor and skin. Studies have revealed that most HA properties depend on its molecular size. 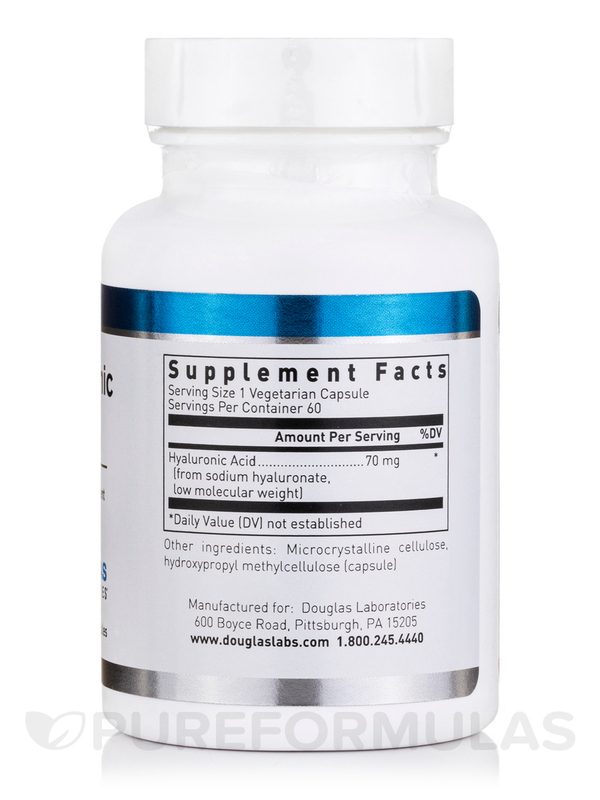 Many sources of HA consist of a high molecular weight which is too large to be absorbed in the intestines. 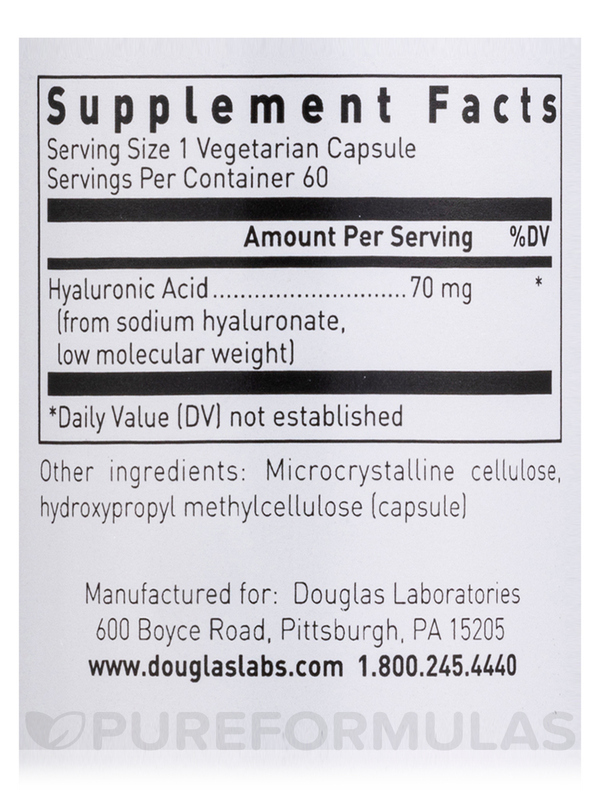 HyaMax® sodium hyaluronate provides a low molecular weight source of hyaluronic acid produced through a fermentation process. In a pharmacokinetic study‚ orally administered HyaMax hyaluronic acid was incorporated into joints‚ connective tissue and skin with a particular affinity for cartilaginous joints. 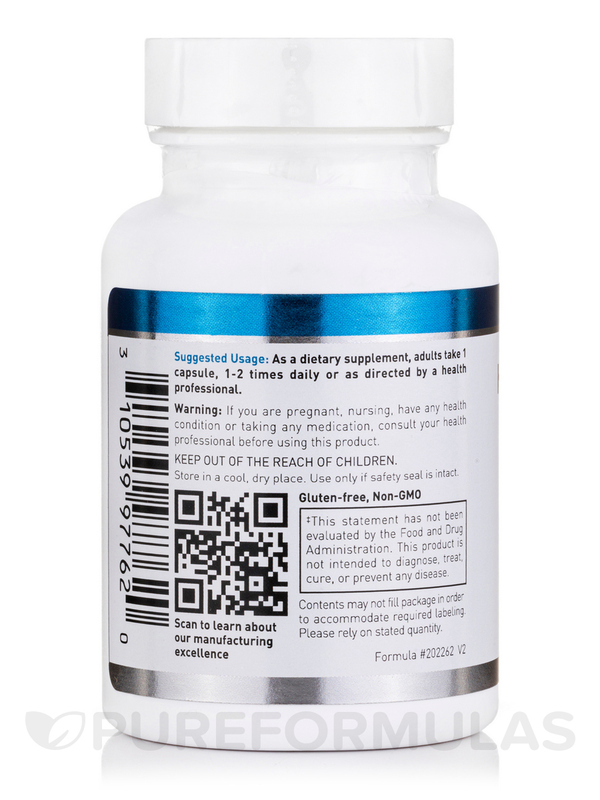 Other Ingredients: Microcrystalline cellulose‚ hydroxypropyl methylcellulose (capsule). 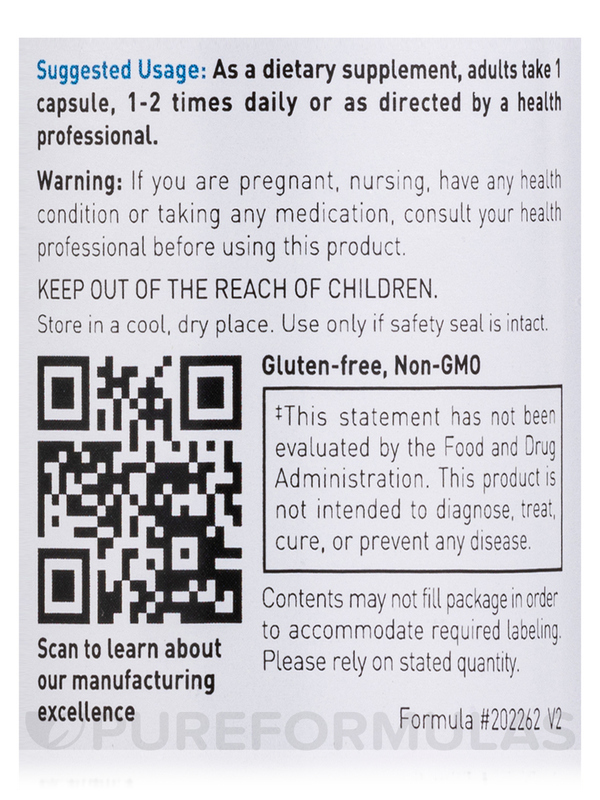 This product contains no yeast‚ wheat‚ gluten‚ soy‚ milk/dairy‚ corn‚ sugar‚ starch‚ artificial coloring‚ artificial preservatives‚ artificial flavors‚ or genetically modified organisms (GMOs). 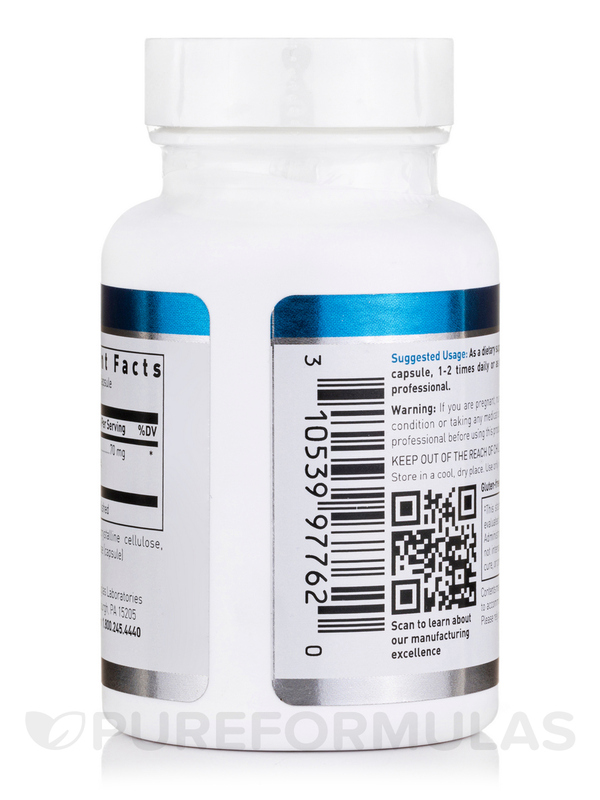 As a dietary supplement‚ adults take 1 capsule‚ 1-2 times daily or as directed by a healthcare professional.